aeamador©-HK08_DSC0063 Hong Kong, downtown area, near ifc tower. I was very impressed by the affluence evidenced in this area. Hong Kong is quite a chic and fine place. 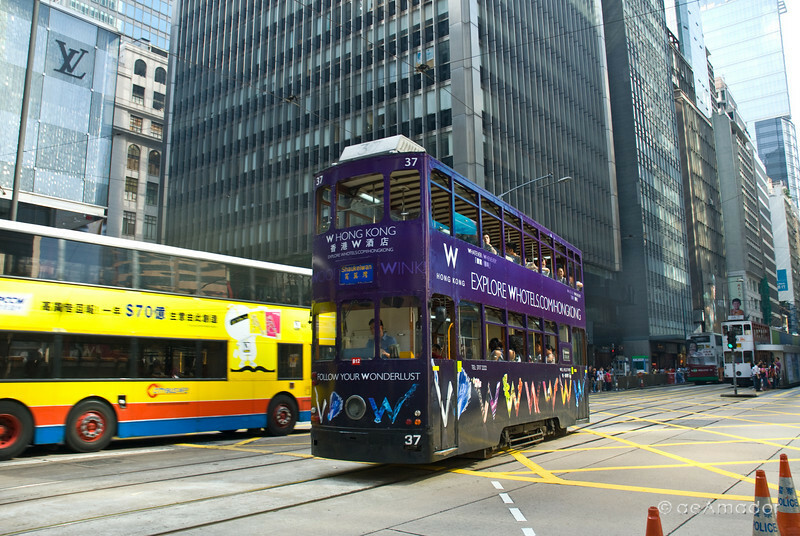 The Hong Kong trolley or tram. They are all different because they are moving ad billboards.